Hi everyone! Today I want to discuss an important subject that worries most parents. Especially when they have their first child. 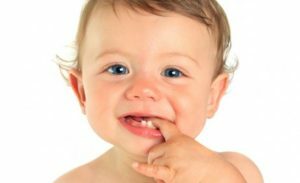 Many patients ask us how to treat their baby’s first teeth, and is important to do so if you want them to grow with beautiful healthy teeth. That is why today we are going to tell you all about it so you don’t worry that much. 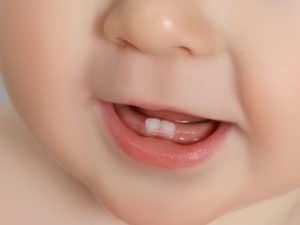 One of the first things you have to consider about your baby’s first teeth is when they start to develop them. That way you will be prepared to take care of them as soon as they come up. This is really i mportant as we said before because that way you guarantee their health. When do their teeth start appearing? There are many windows where your baby’s first teeth start appearing. Some of them develops really early and some of them late, the key here is patience. Most babies start teething at 6 months old, when they start taking everything to their mouth. You have to be careful because they can ruin their mouth if you don’t pay any attention to them. Other babies can start teething after their first year, so as we said before, just give it time and be cautious. After that, they will grow all their teeth and bay age 3 they should have a complete denture. When they star growing old,, at age 6 or so, they will start shedding them for their permanents ones. But, what it is important is that although they are going to lose their first teeth you have to make sure they still take care of them. It is not only a really healthy habit, that way you create the cements for a really good dental hygiene. At first it will be really painful for your baby. When they start teething it will feel really uncomfortable for them. A good solution to this is to give them something cold like an ice cube enveloped in a washcloth to sooth your baby’s pain. Another excellent technique is to massage your baby’s gums with clean hands. To avoid that your child suffer too much pain from teething, you should also control their diet. Cutting off too much salt and sugar can help a lot to the cause. Aside from this, as soon as your child starts teething you can brush their teeth twice a day to take care of them. You can use fluoride toothpaste but be aware that a pea size will be more than enough to clean their little teeth. There is some babies toothbrush you can find in the market but if you really want some great prices on them I strongly recommend searching in Los Algodones. In Los Algodones pharmacies you will find these toothbrush and more at excellent prices and deals. In case you don’t know Los Algodones is a beautiful border town just after the US-Mexican border. To reach Los Algodones just drive 7 miles southwest form Yuma Arizona and you will be there in a heartbeat. When to start taking your baby to the dentist? The answer to this question is really easy. You should take your baby to the dentist as soon as you see their first tooth. In many cases most parents worry because their child has fever, but there is a chance that it is because they are starting to grow their teeth. Just make sure by taking them to a doctor and if the reason behind are their first teeth then you should book an appointment with a dentist. This will help your baby to develop healthy teeth and a really happy beautiful smile. If you want excellent prices in dentist come to Dental Solutions in Los Algodones to start your baby first smile with a really wide and healthy one!